Today’s blog post is titled “August Anthem?” because this morning we asked all our trips to submit a song that was keeping them going. Some sent me pictures but ignored my request for an anthem, but many of the results are in! Read the blog for the Apogee summer version of the Billboard Top 25. 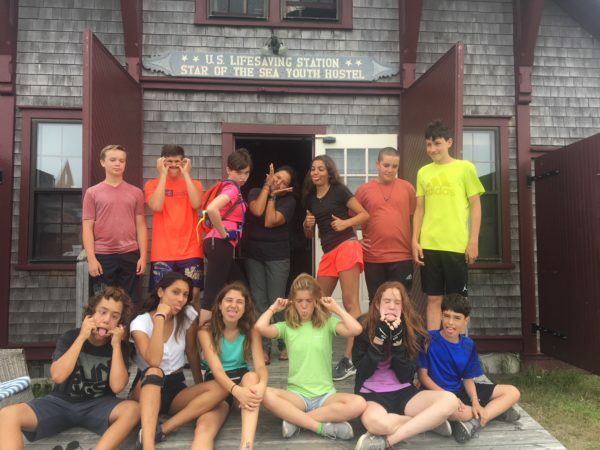 The ever smiling CI3 squad has had the great fortune of spending the last twenty four hours basking in the sun, sand, and surf of picturesque Nantucket. 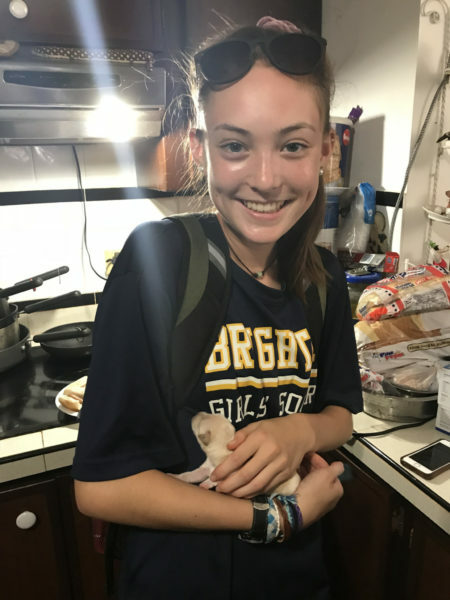 Upon hearing the storied mythology of the island from the cheery and theatrical hostel manager Sassy (pictured below), our intrepid voyagers set out to explore the terrain for themselves, powered only by bacon, skillfully prepared by one of their students. Riding their iron-clad steeds through rolling vistas and sprawling dunes, these adventurers soon arrived in scenic Siasconset, where quaint bazaars full of goods and wares, card games, and spirited games of Mafia awaited. We hear that there was a beach visit before settling in again to the youth hostel for the night. That’s a high quality silly pose pic squad. 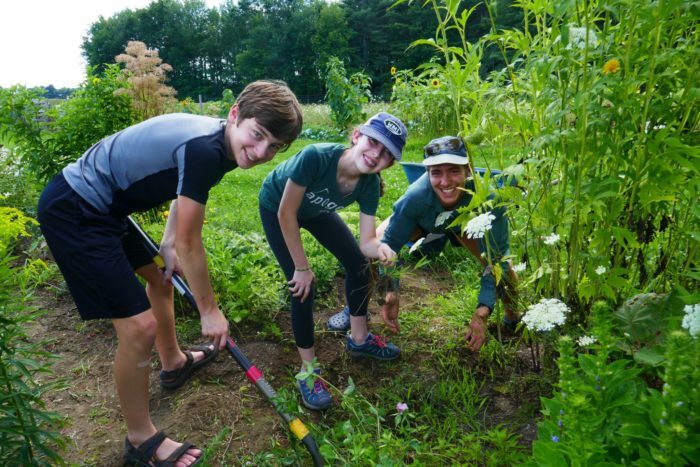 The New England Mountains and Coast squad packed up camp this morning and left the woods, making tracks for Brunswick. 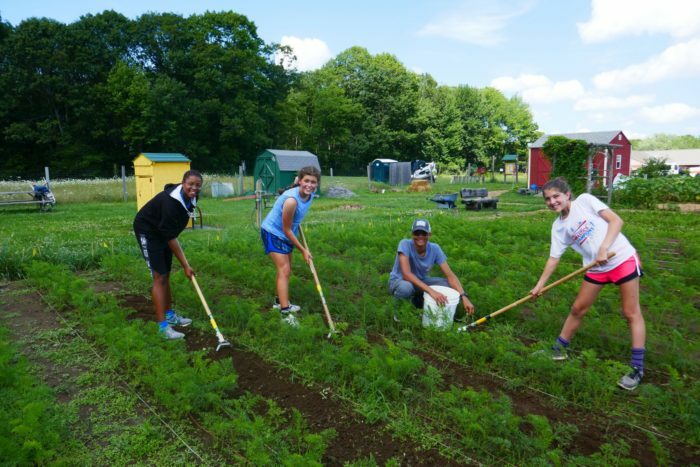 In sunny Brunswick they spent the afternoon volunteering with the Brunswick-Topsham Land trust in their community garden, where they weren’t afraid to get a little dirty. Good job giving back to the local community, guys! Our Colorado kiddos said goodbye to the Rockies today and headed to their respective homes. 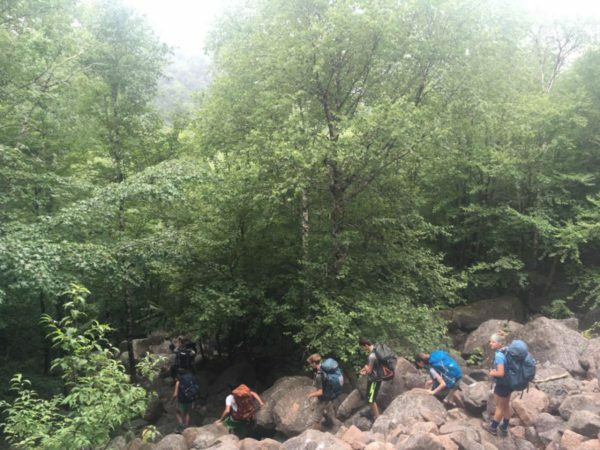 Despite the early start this morning to get to the airport on time, the teams are energized by the sense of accomplishment they’ve achieved hiking in some of North America’s most stunning mountains. Way to wrap up a great trip squad! CRMA’s anthem is “Hooked on a Feeling”, while CRMB proposed an artist rather than a specific song by nominating “DJ Denzo” (a.k.a. leader Parker’s DJ name). 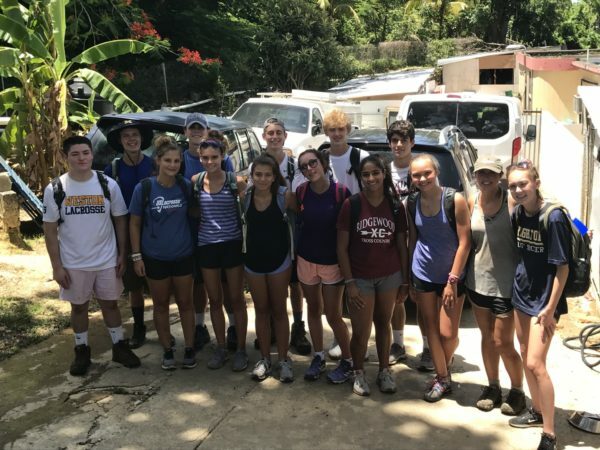 Our Carribean Service trip completed another hard morning of volunteer work in the scenic and beautiful Tanama Valley. 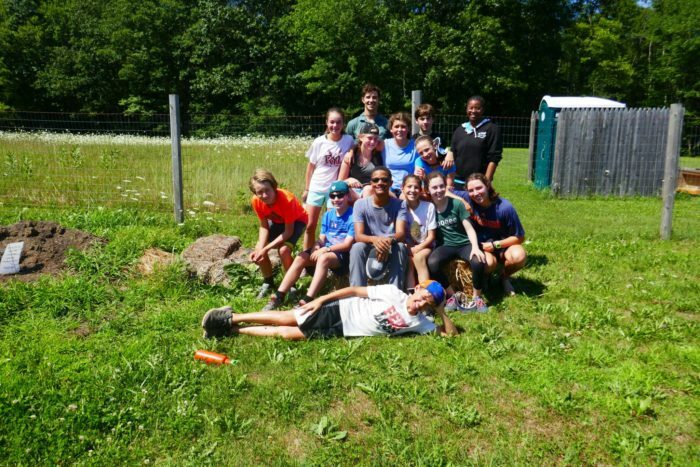 This time they volunteered at an animal shelter. 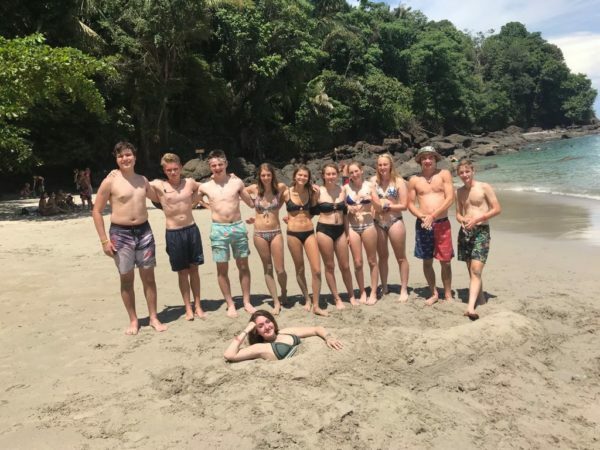 They washed off the sweat they worked up while giving back to the community by taking a refreshing dip in a small swimming hole in the valley. Great job putting in some hard work today, team! 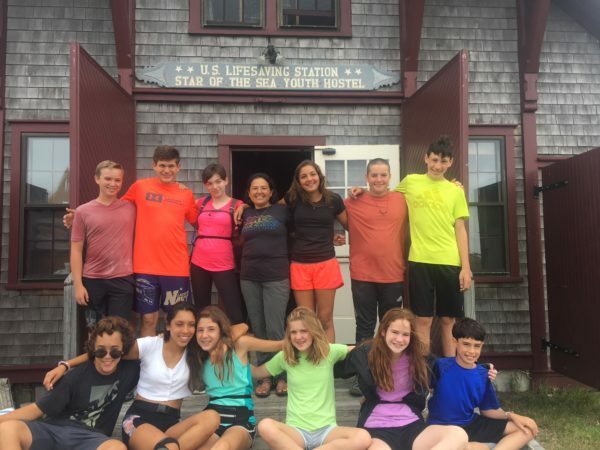 Maine’s Downeast Explorers spent the full day sea kayaking in what has been described to me as a one of the most beautiful places for paddling in the entire world. 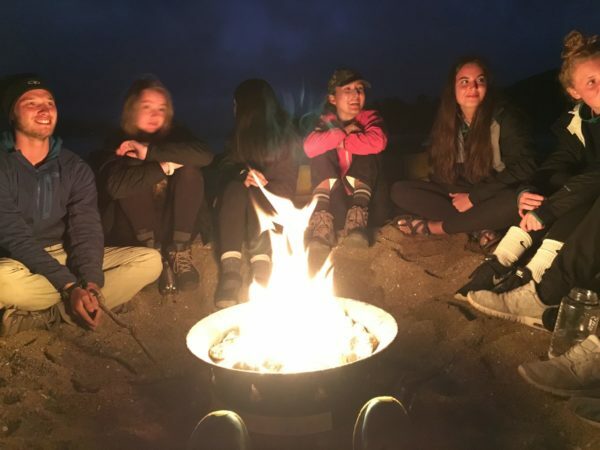 After docking their kayaks on the island where they’re camping for the next two nights, the crew played games and enjoyed the silence, the sunset and the starry night sky! Not enough cell service to push a picture through to us, but hopefully we’ll get one tomorrow! 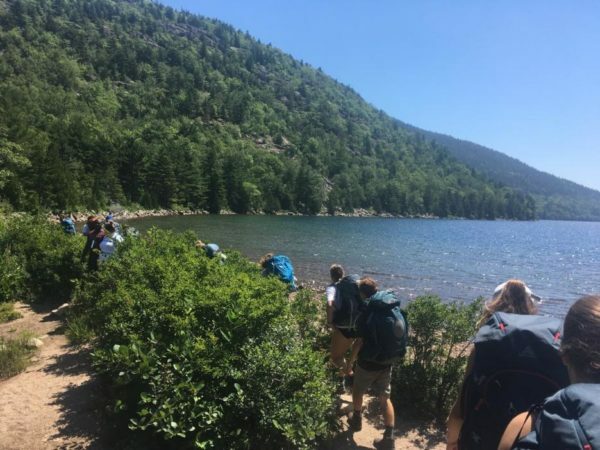 The other group of Downeast Explorers enjoyed a full day in Acadia National Park, one of the most scenic and beautiful areas in the entire Northeast! 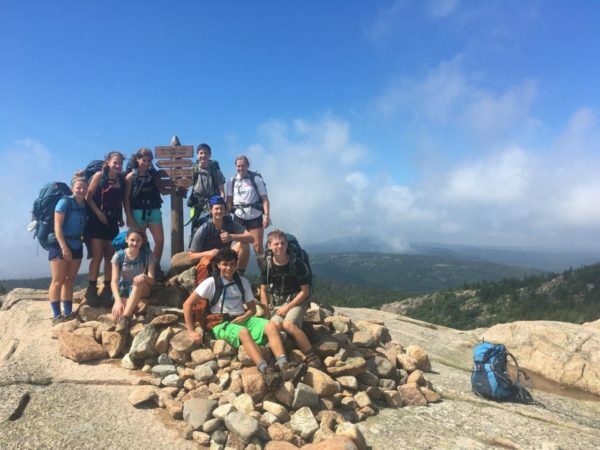 They hiked in Penobscott before heading down for an afternoon in Bar Harbor as well. The VMA crew powered through what was possibly the hardest day of riding so far. 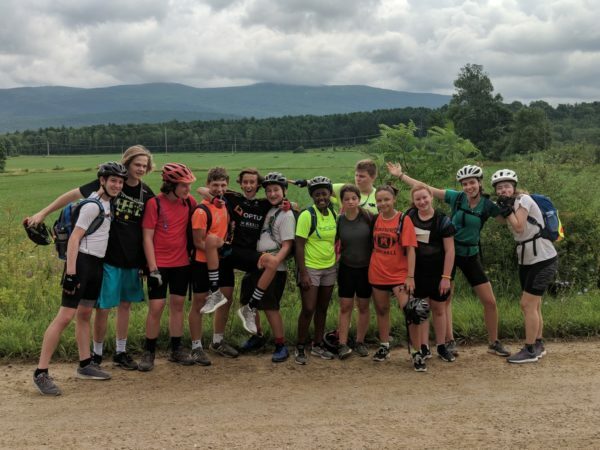 After making their way from Otter Creek through a series of progressively smaller towns, the squad caught the first glimpses of magnificent Lake Champlain on their left, from the top of the gnarly hills they conquered. 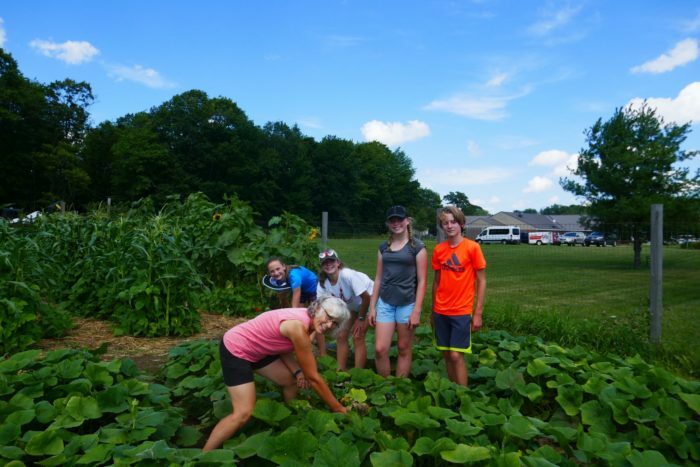 They continued on to their campground in Shelbourne where they will be surely enjoying their rest before they head to Burlington tomorrow. VMA’s anthem is “The Climb” by Miley Cyrus. There will always be another mountain, but hopefully camp will be waiting on the other side. 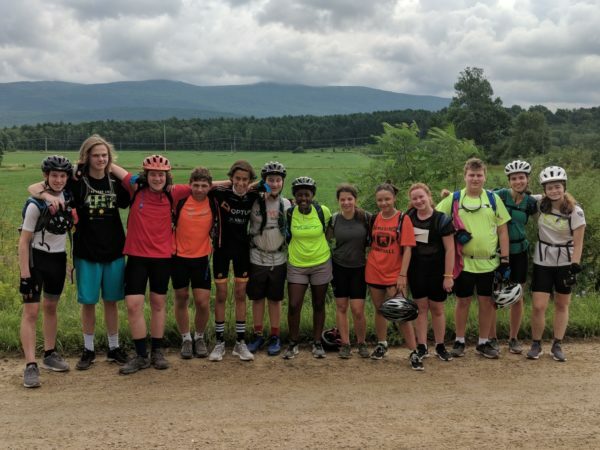 The Vermont to Montreal B group enjoyed another day of riding in hilly southern Vermont, where they steadily made their way through one of the state’s better known population ‘centers’: Middlebury. 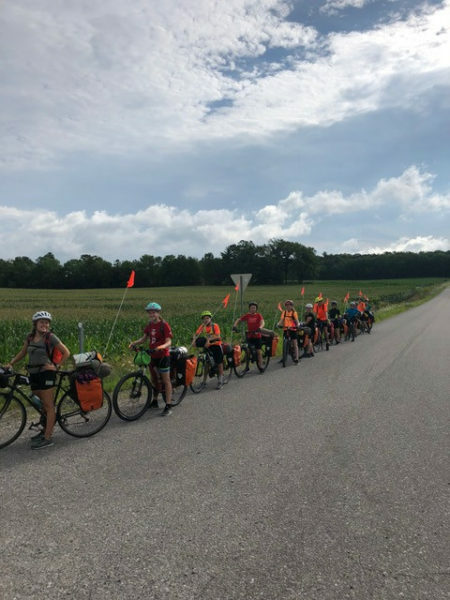 After heading through the quaint college town, our indefatigable team of riders continued their journey to the beautiful banks of Otter Creek, where they will be spending the night. VMB’s August anthem is “Africa” by Toto. Not sure you guys will get to see Kilimanjaro rising above the Serengeti, but maybe Killington will make do! 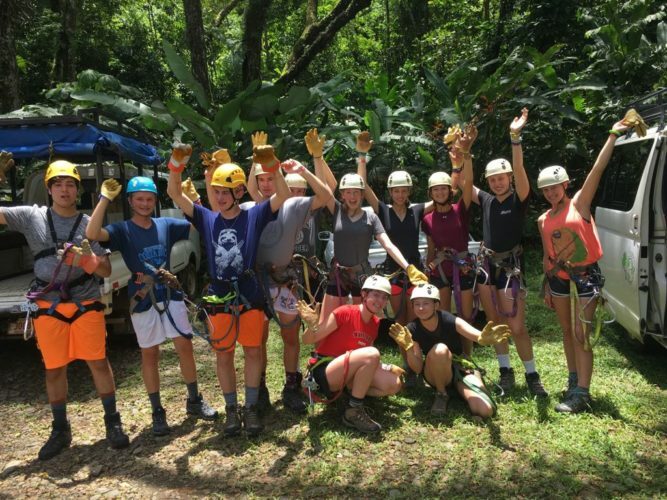 The Costa Rica Mountains and Coast team was in for a treat today when they got to go zip lining on Central America’s longest zip line! 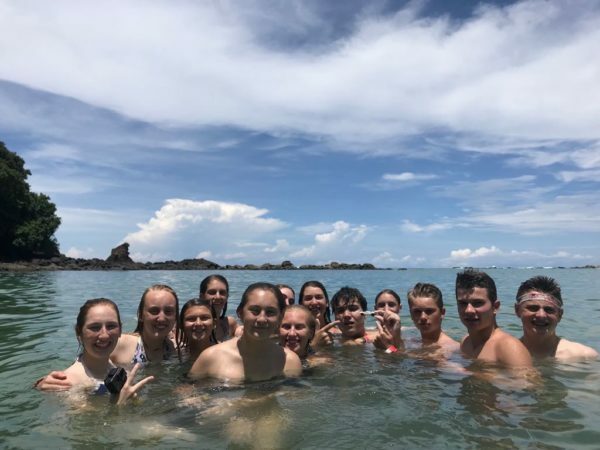 They also got to swim on some gorgeous sandy beaches and explored the town of Manuel Antonio. What an action-packed day! The water looks so refreshing! 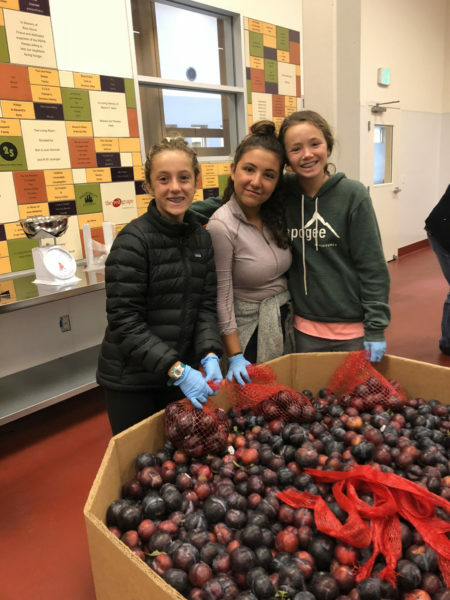 The California Mountains and Coast A group spent the morning giving back to a community that has been heavily affected by wildfires and other natural disasters by volunteering at a food bank that provides meals to community members in need. They stayed along the pacific for the rest of the day, completing a sweet day hike. CMCA’s August Anthem is “California” by Tchad Blake. What a relevant song! Thanks for your work CMCAers! 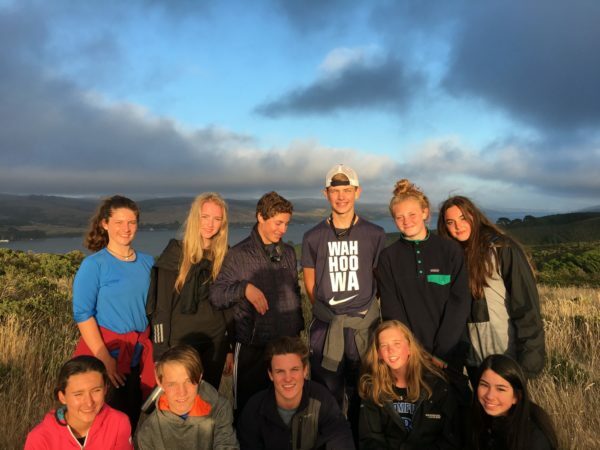 The CMCB students and leaders lathered on the sunscreen and filled their water bottles for their last morning of paddling as they headed back to the mainland and off the water. What a lovely day to be out exploring on the water! Check out that sweet campfire! Halfway day! 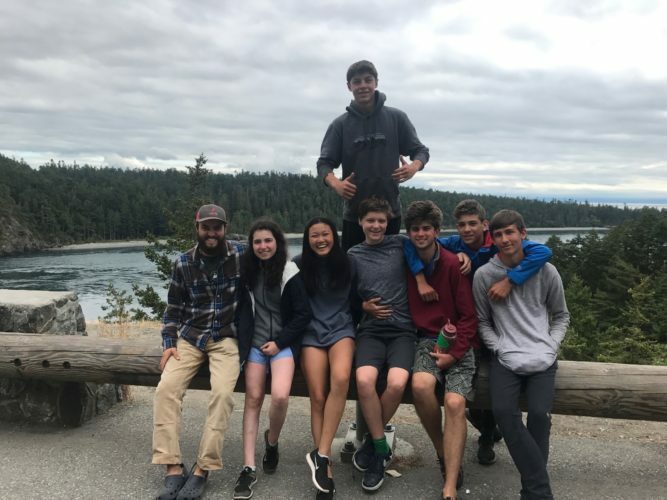 This group of Northwest Explorers is now officially over halfway done with their trip! They are currently on the third night of a beautiful five-night back country section, which means no photos, but we can’t wait to see those photos in a few days. Way to conquer the wilderness, squad! The NWX B group enjoyed a mellow rest day today as they begin to prepare for their big backcountry section that’s coming up shortly! 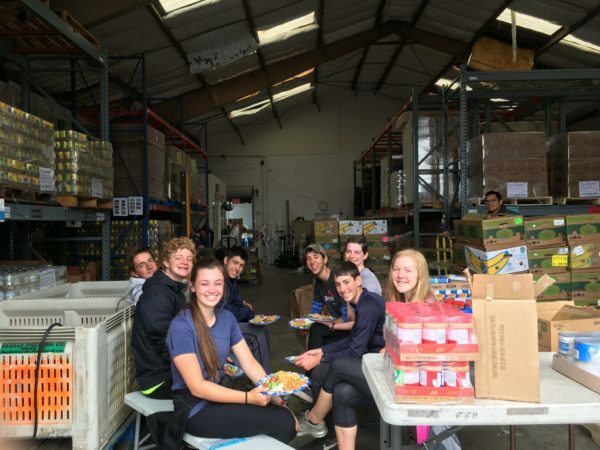 They slept in and had a big breakfast before taking the rest of the day to recharge their batteries, do some laundry, and resupply before heading over to Olympic National Park tomorrow. Good job making it over halfway through the trip, team! The Pacific Coast A biking trip got back on their trusted steeds today for a big 60 mile day of riding. 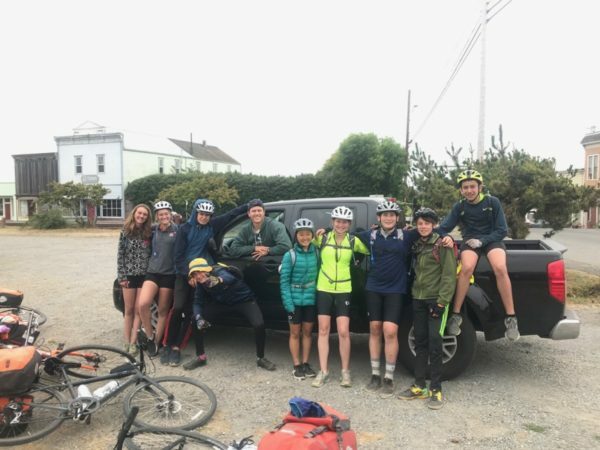 Despite some rolling hills in the morning and tough inclines in the afternoon, the group hit the “Avenue of the Giants” today, where they had the honor of biking through an absolutely stunning patch of redwood forest. Spirits are reportedly high tonight after conquering the big day. PCA’s anthem is “Country Roads” by John Denver. Country roads, take me home… but if you get to West Virginia, you’ve gone too far, PC! Our trusted PCB squad got to rest their sore bodies today and had a total of only 10 miles of riding today on their way to do some community service. 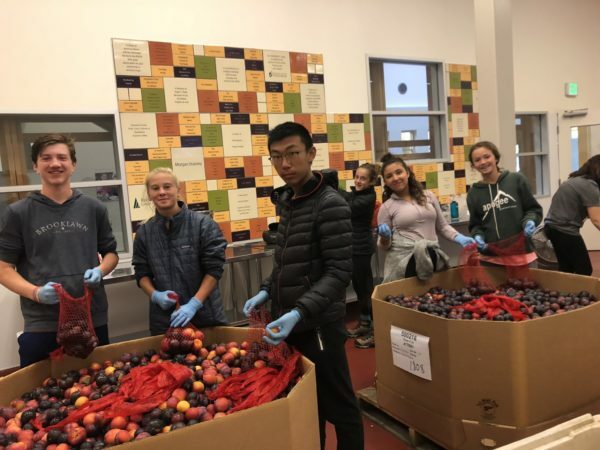 This morning, PCB made bags of food to be given out to local seniors — every month there’s a senior day at the food pantry, and PCB helped prep for it! It was a great rest day as they prep for a big mileage day tomorrow! Today our Scottish Highlanders tackled one of the most challenging sections of trail they will encounter all trip. 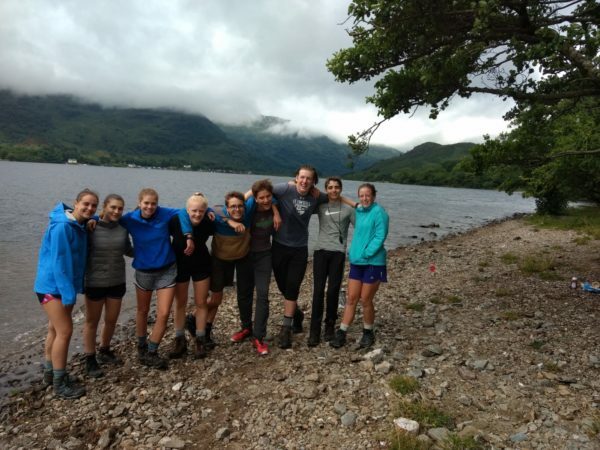 At the end of the hike, they got to look back and take in some beautiful views of the lake they were hiking along before getting into camp and resting their backs and legs. Great job crushing another day! 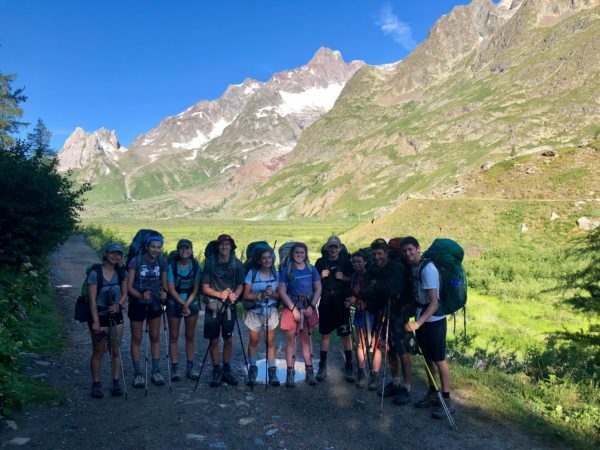 The Alps Explorers A squad had a big day (20km, approximately 12.5 miles), where they conquered the longest uphill section of the entire Tour de Mont Blanc. I can only imagine what the views looked like from the top of the pass they climbed. We’ll enlighten you with photos tomorrow! 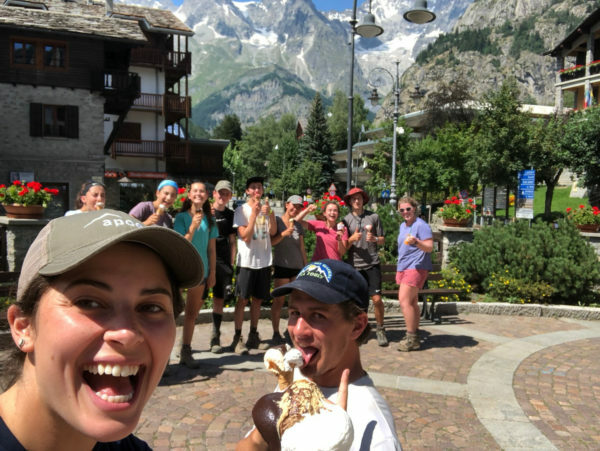 The AXBers had a beautiful downhill day into Courmayeur, the biggest population center they’ve seen since they started hiking and one of the Italy’s premiere ski and tourism destinations. Enjoy every minute squad! The AXB-ers August anthem is (also) “Africa” by Toto. I guess Europe wasn’t good enough for these international hikers! Eat some gelato for those of us who aren’t lucky enough to be in Italy right now! ACC1 hit the road today with a 110 mile day to follow up their rest day in Phoenix. They powered through some tough mileage in the desert, but are grateful for the flatter terrain. Great job team! 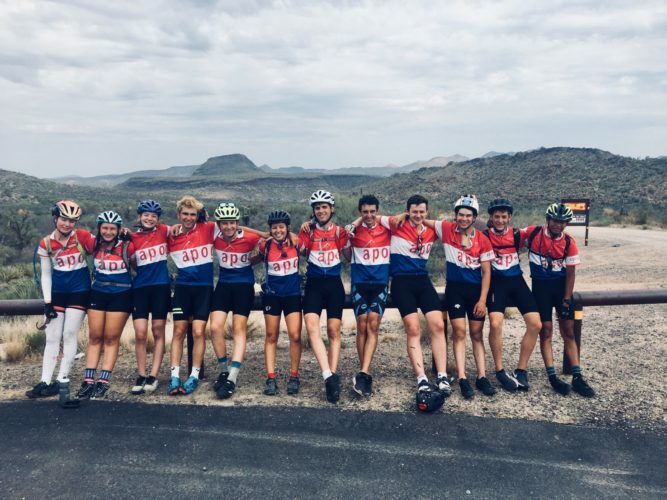 ACC 2 had a super solid 87 mile heading into Phoenix, Arizona where they will be able to take an extremely well-deserved rest day tomorrow. Make sure you stay hydrated and rest those sore quads, glutes, calves and knees while you get the chance, crew! Way to keep crushing it! ACC’s August anthem is “The Bridge of Khazad Dum” off of the Lord of The Rings sound track. Have you guys biked through Mordor yet?